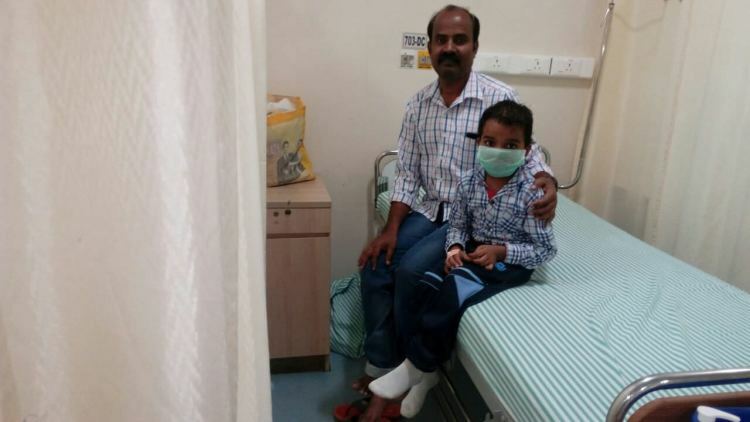 Little Partha is scared to stay in the hospital. He doesn't know why he is kept in the hospital. His sister and cousins get to stay home. Every day he wakes up and gets ready, thinking he will go home that day but his father gives some excuse. This little boy does not know he has cancer. He thinks he has a fever. All the injections and chemotherapy is making him weak every day. His father stuck with no money left to save him. Our son had no health problems at all, he just fell down while playing and got hurt. We applied antiseptic cream thinking it would be fine within a few days. Later, we noticed green patches on his body. 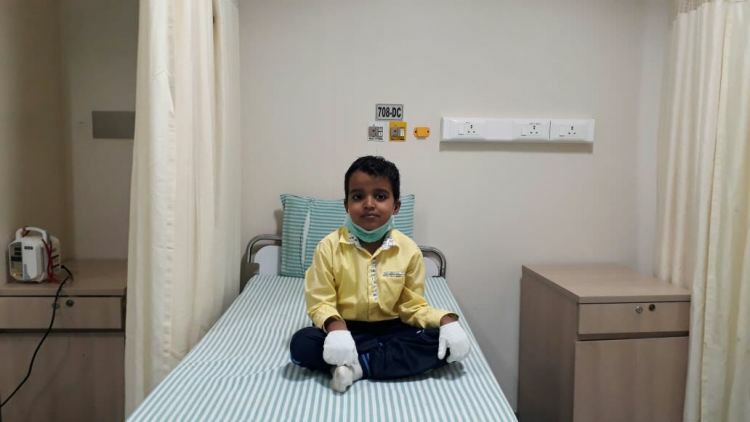 We were sure it was some kind of infection and Partha’s grandmother who is a retired nurse insisted on going to the hospital for a check-up. The test reports revealed something which was totally unexpected for us. Our little baby is suffering from blood cancer. We couldn’t believe our ears. 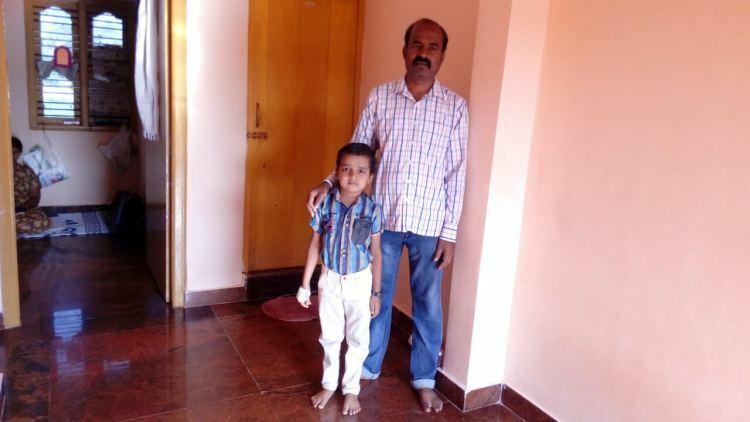 How can our son suffer from cancer? "We thought it was just a skin infection but still took him to the hospital for safety. 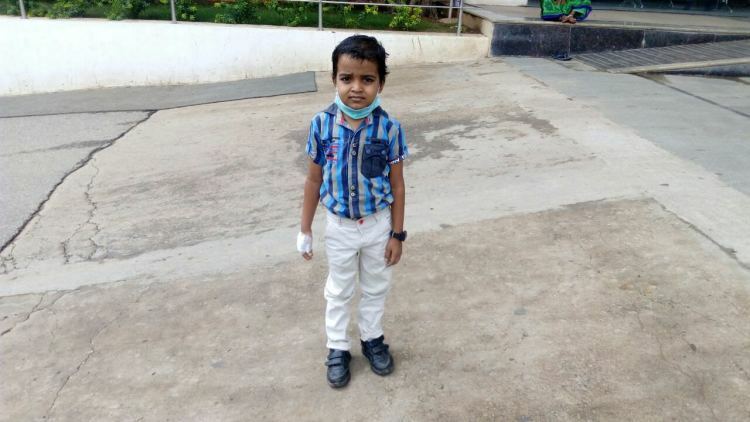 The test reports broke the traumatizing news that our little Partha is suffering from blood cancer." We went from one hospital to the other doing the same blood test thinking there must have been some mistake in his medical reports. But all the reports said the same thing. Cancer is slowly killing him. 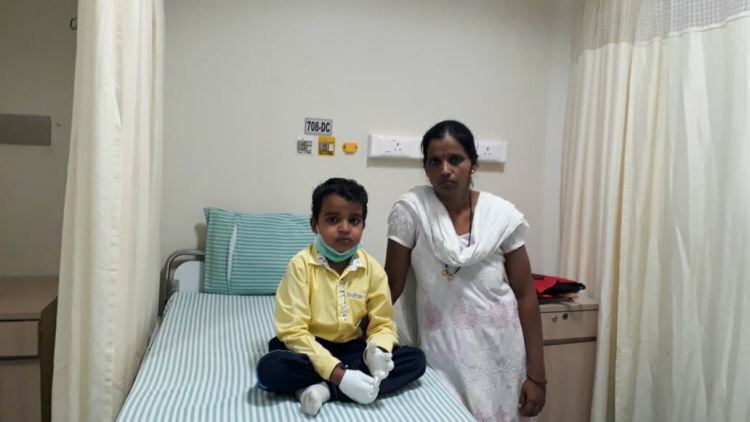 There are no good treatment opportunities in Gadag, so we left everything there and came to Bangalore for treatment.Now for a month we are here seeing our son fighting for his life every single day. Our son is a very silent kid. 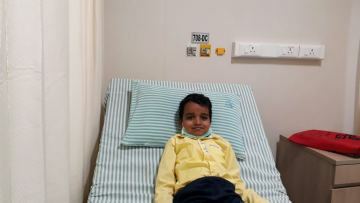 Initially, we told him that he is suffering from fever and will go back home within a week. Now it's been more than a month that they are in the hospital. Partha has started asking questions. "Why are we not going back home? Why can't I go to school?" I feel so helpless that I have no answer to these questions. I have a photocopy shop and earn around Rs.10,000 a month. My wife and mother used to stay with Partha in Bangalore. I am trying to arrange money for the treatment along with taking care of my little daughter. Recently my mother’s condition was also serious and we had to bring her back home. Now my wife stays with Partha and I have no option but to stay here in Gadag and run my shop. 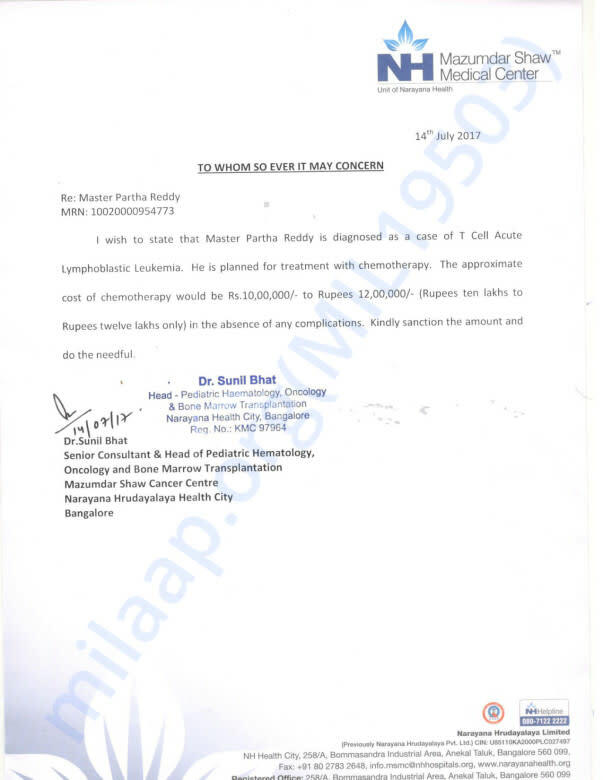 The only way to save my son from death is to continue his chemotherapy sessions.The cost of the treatment is around 12 Lakhs which is beyond my financial capacity. I had taken a loan of Rs. 93,000 from my friends but it is already exhausted in his treatment so far. Now I am left with no money to continue his treatment. I cannot save my son without your help. I have promised him that I will take him back home as soon as possible. He wants to go back to school and play with his siblings. Your generous contribution can save my son. Please help my son fight deadly blood cancer. The specifics of this case have been verified by the medical team at the concerned hospital. For any clarification on the treatment or associated costs, contact the campaign organiser or the medical team. 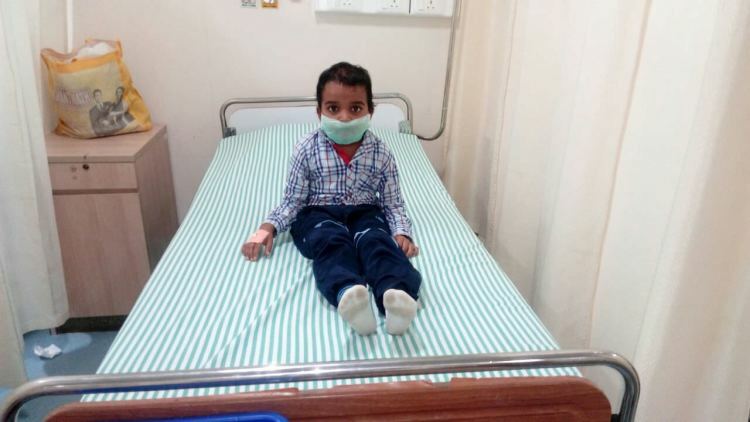 Partha's family cannot afford expensive chemotherapy needed to save him.